You sneeze when a cat walks by, wheeze through the spring and summer, and can’t even get close to a Christmas tree. 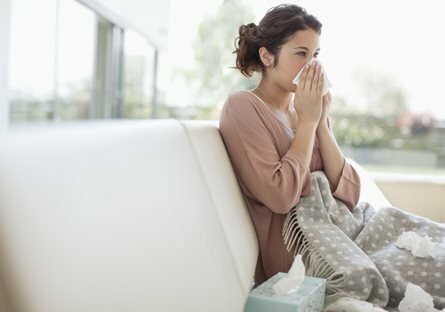 As one of the 60 million Americans who suffers from allergies, according to the Allergy and Asthma Association, you may think you’re already aware of everything there is to know about allergies and the allergens that trigger them. You may actually “know” much less than you think. Myth: People with allergies shouldn’t have carpeting in their homes. Fact: Not one scientific study affirms a link between the increase of allergies and asthma and the widespread use of carpet in homes. In fact, several studies not only refute a correlation, they even seem to indicate carpet may actually be beneficial to allergy sufferers. A Swedish study found that when carpet use in that country declined by 70 percent, allergies in the general population increased by 30 percent. Another study, encompassing nearly 20,000 people in 18 different countries, found reduced asthma symptoms among people with carpeted bedrooms. Finally, a study of more than 4,600 New Jersey school children found that kids with moderate to severe asthma who had carpet in their bedrooms missed fewer school days and had less need for asthma medication. Myth: All you need is a vacuum cleaner with a HEPA filter. Fact: Actually, it’s not just the HEPA filter that helps, it’s how frequently and effectively you vacuum. In order to effectively remove allergens, a vacuum must not only be able to pick up allergens, but also keep them contained inside the bag or canister until you can safely dispose of the dirt. Vacuums that expel dust and other allergens through the exhaust are simply putting all those allergy triggers back into the air you breathe. The CRI tests vacuums for effectiveness and green qualities and awards a Seal of Approval to those that meet its stringent testing standards. Find more debunked myths on allergies here. Click here for a list of CRI-approved vacuums.